When you think about it, the train ride is more of a mystery to most of us than many other forms of transportation. I mean, why spend days travelling by rail, when you can fly there in a matter of hours? Or rent a car and travel there yourself. Sea travel these days is less about travelling from one port to the next and more about partying on the water and making sure you don’t fall off. There are still those who travel quite frequently by bus, but in the end, that’s just a “find your seat and wait” form of travel. 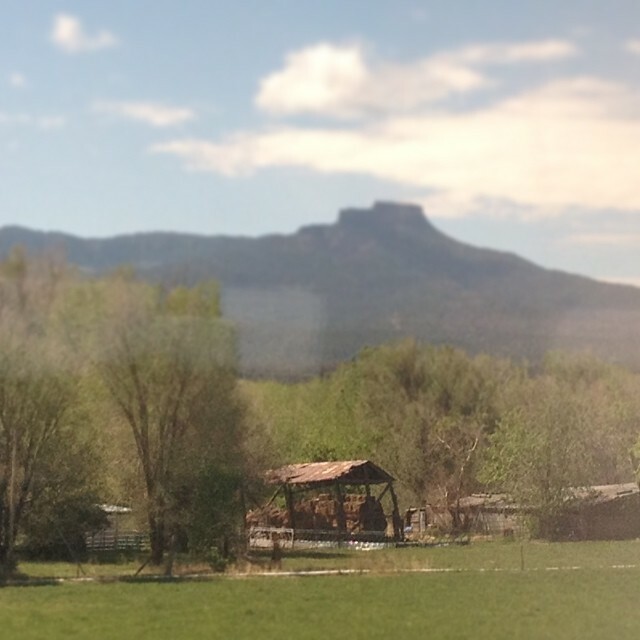 For me and for many people in my world, the train almost seemed like the last frontier. I’ll admit, I romanticized it a bit. In my mind, two days of straight travel, albeit with some stops in between for pick ups and drop offs, was the perfect time to relax, reflect, read, write and let the pressure of life pass me by. There’s a reason why they say the fantasy is never as good as the reality. I decided long ago that I would absolutely love to travel by train, long distance, so that I could have that experience, that romanticized scenario I cooked up in my brain. With the vacation time I had accumulated thus far travelling to California by rail was the perfect opportunity to cross this dream off of my bucket list. I think the biggest mistake I made was going into this adventure with expectations. I’d like to think my mind was open, but in hindsight…not so much. My first annoyance occurred when I realized I had to sit with someone. Let’s face it, with any form of travel we take these day, unless we are traveling WITH someone, we want our own space. When you’re on that plane, sitting by the window, looking outside as they load the luggage and stare hard because you’re looking to make sure your bag is being taken care of, you’re also watching the people boarding and PRAYING that the people coming, the people looking at the seat numbers and letters, are people that will pass you by. Come on now! You know you do it! Some of you may be on a plane doing right now!! Well, apparently, the same principle applies to train rides. My travel companion was already in the seat next to the window and began crossing boundaries EARLY. I settled in, watched others board and observed that our 3:00 PM departure time was going to be a pipe dream. At some point I felt us start to move. I looked outside and things were slowly moving from my left to my right as we pulled out of Union Station…at 3:40 PM. Now I am here to tell you that I have NEVER experienced a smoother ride. With the exception of the occasional side to side sway, you often cannot even tell you’re moving. In many respects it was like riding a cloud. You’d think it would be the most peaceful thing in the world. But…you have to keep in mind that on a train, you do not have to turn off your electronic devices at any time. That means…people can have phone conversations to their hearts delight. The woman across the aisle from me had a lot to say. And she said it loudly. You would think that you would want to keep some things to yourself, perhaps use your inside voice, maybe act like you’re in a library. Or…better yet…go to the car with the cafe and observation lounge. Well…no…that would make too much sense. And the woman next to her was no better. I learned that her new weight loss pill doesn’t make her as hungry, nor does it affect her period…which she just started two days prior…which was apparently right on time. So the journey continued, despite the loud noise surrounding me. I traveled through small towns in Illinois that I had not visited since my work as a private investigator. It was interesting to see some of the small changes that had taken place over the years. Brought back a few memories and some of them found their way to my pad of paper as I began to write. All in all, the first night was not terrible. I stayed up late and watched as we rolled in to Kansas City, MO around 1:00 AM. We were behind schedule, even more than 40 minutes at this point. But that was alright with me. We would still arrive in L.A. with enough time for me to make my connection to San Diego. With that in mind, I put on my headphones, turned on my “Jazzy” playlist and listened to Sanborn, Sample, Bob James, Nora Jones and others play and sing until I drifted off. When I awoke the next morning, I hit the GPS on my iPhone and discovered that for some reason…we were still in Kansas. It was 6am…ish…and we were still in Kansas and at this point, over an hour behind schedule. I hit the cafe cart, got some breakfast and sat on the observation lounge. I took a picture of the sunrise in the East and before I knew it…everything was just fine. I sat for a while and just watched America in all its glory, in all its rustic beauty pass by at about 60 mph. Wait!! 60 mph??!! Why the hell are we not travelling any faster? I never got an answer to this question. In fact, I never really asked. For some reason, it did not seem to bother anyone else but me that all of us have driven on our respective expressways, freeways and highways at higher rates of speed than we were on open track…with NO other traffic. In fact, nobody seemed too worried about anything. The alcohol was fully stocked. There was food and the freedom to travel from one car to the next. The chairs reclined, foot rests could be positioned well. Plenty of people were lost in books, movies and TV shows on their laptops and tablets, or, in some cases…each other. Nobody was worried about anything at all. 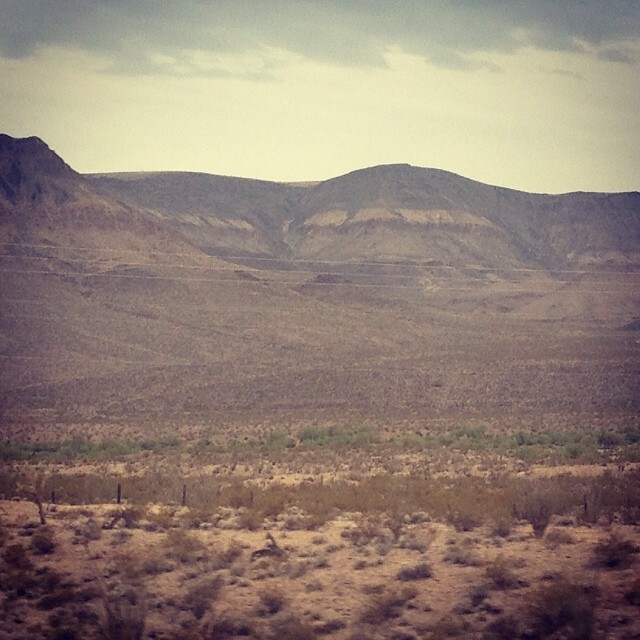 Until the train stopped and the power went out in the middle of a mountain range near the Colorado/New Mexico border. Now…when the power goes out on a train that doesn’t just mean the lights are down and we’re stopped. It means, no lights, no bathrooms, no air…and for the alcoholics aboard who did not have enough cash…no booze because the credit card machines were not working. That was more relevant to them than the fact that the dining cars would be on hold because FDA regulations state that they cannot serve food unless it’s properly refrigerated and stored. Apparently a power outage affects this. So here we were, LITERALLY the little engine that could. Or, more appropriately, the little engine that could not. Our engine gave up, died, retired, crawled into a corner and curled up in the fetal position, took its ball and ran home because it was too hot and tired to play anymore. It took them an hour to figure this out. During which time they told us that we’d be on our way in a matter of minutes as they addressed a small electrical problem. Mind you…the plumes of smokes billowing upward from the engine were a clear indicator to me that we’d be there for a while. But what do I know? I’m no mechanic or engineer. Four hours and some significant minutes later, we were underway. Engines were transported up from other places, swapped out and we were back on the rails moving…at a snails pace. At this point, we were just over 5 hours behind schedule. We crawled into New Mexico and eventually Arizona and at some point in the wee hours of the morning on Saturday we found our way to California. Mind you…I was supposed to be getting off the train in L.A. at 8:30 AM. But instead I arrived promptly at 2:40 PM. 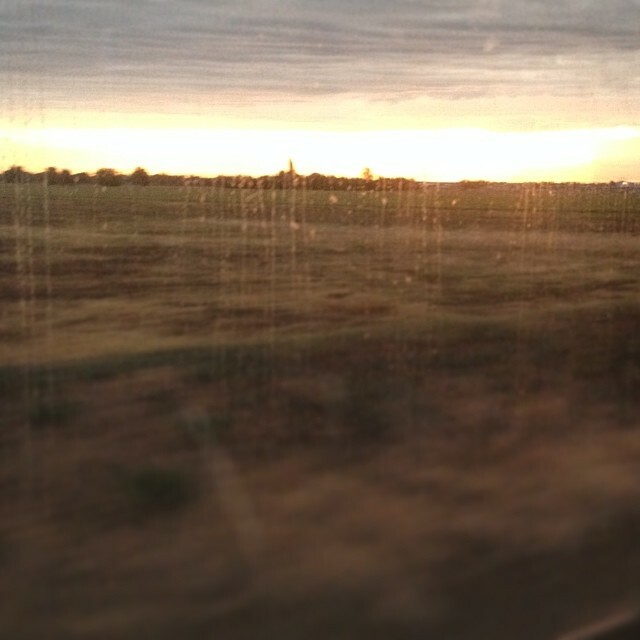 I had stopped counting my annoyances somewhere in Kansas, most likely when looking at the sunrise. The mountain delay was less of an annoyance and more…a cosmic joke that I just was not in on. The mom changing her child’s diaper in their seat thus filling the car with an unholy smell that seemed to signal the end of all things…yeah…I can’t even label that as a annoyance or joke. That was just…well…fill in the blank yourself. The most delightful aspect of the trip took the form of an Irishman. He was short, he was fit and he was quiet. He was the type of quiet where you wondered if anything bothered him…ever. I don’t know his name. In fact, I never asked. But I watched him closely. He walked up and down the aisle, from car to car over the course of the trip seemingly looking for an empty seat. I never asked why. As a writer, no answer he could have given me would be as good as those I had going on in my head. But, as a writer I don’t think I could have ever written the things he did in a novel to the point where they would be believable. This man, during his travels from car to car, looking for an ideal seat, secured food and coffee for an elderly woman so she would not have to get up and travel to the cafe car. Each time he got up or walked the aisle, he acknowledged her and asked if she needed anything. Again, I never knew his name and I do not even remember where it was along the trip that he joined us. But I do know that he was a good man. And as I think back to him now and remember his kindness and patience…that wipes the slate clean for me. so basically, the moral is: ALWAYS bring cash on a train, yes? you crack me up, ps.